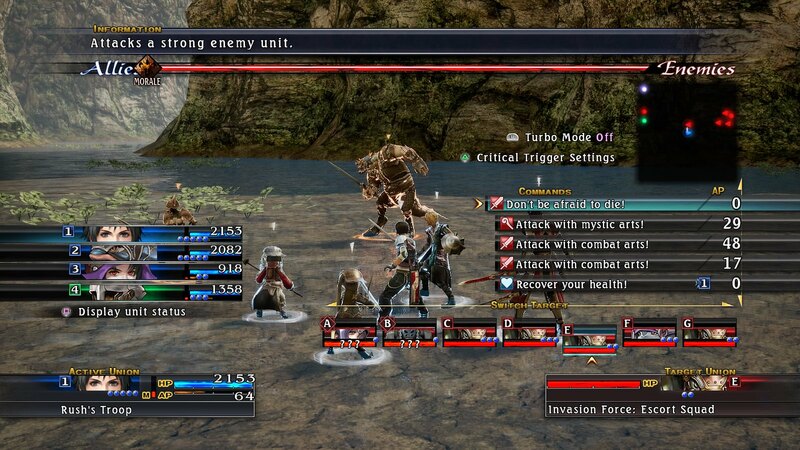 The Last Remnant, remastered, is coming to PS4 on Dec. 6th. Digital only. It's probably bound for PC eventually. No announcement for Xbox, although this was originally an Xbox 360 exclusive, 10 years ago. Yeah, it got some mixed reviews, if I remember right. When I look at a battle screen, my immediate reaction is, "eh, no thanks." The battle system turned me off the game. Yeah, it looks too complicated for me. I bought this game years ago and sold it before ever opening it.